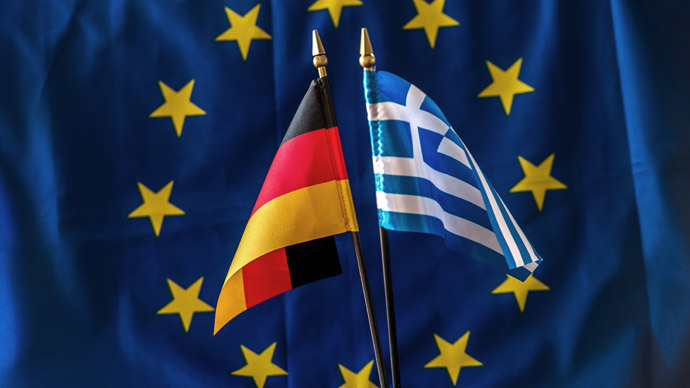 In the biggest majority for any eurozone rescue package vote so far, members of the German parliament have almost unanimously approved the reform plan for Greece, which paves the way for a four–month loan extension. German Chancellor Angela Merkel also supported the extension, but many members of her own Christian Democratic party (CDU) were critical of further extensions to the Greek bailout in the last weeks. The main opposition party, the Green, had seconded the motion too. Other EU countries will also vote on the plan approved by the European Commission on Tuesday, but the vote of Germany , Greece’s main creditor, makes the overall approval almost certain. Germany has been the biggest advocate of Greece complying with its obligations and paying off its €317 billion debt. The newly elected government in Greece has promised to end the era of austerity in the country. The eleventh hour plan presented to the EU creditors late last Friday includes commitments to fight corruption and tax evasion, as well as cut all unnecessary expenditure and keep on with its privatization plans. Speaking to the parliament ahead of the vote, Finance Minister Wolfgang Schauble promised Greece would not be allowed to "blackmail" its eurozone partners.Germany’s approval to extend the bailout to Greece was not an easy one, but in both countries’ best interest, he said. The decision on the program’s extension didn’t mean making any adjustments to it, Finance Minister added. "We're not talking about new billions for Greece, we're not talking about any changes to this program - rather it's about providing or granting extra time to successfully end this program," he said. Schauble warned that "Greece must do its part. Solidarity of course, also has something to do with reliability." Greece started to receive bailout packages from the so-called troika of international creditors in 2010, with total loans since then worth €246 billion. The money has been provided with strict terms which include the introduction of austerity measures and drastic budget cuts. As a result, in the four years of austerity Greece’s GDP has slumped a quarter to €242 billion. A third of Greeks live below the poverty line and the unemployment rate has reached 30 percent. The newly elected Greek government pledged to end the EU bailout program. If the talks failed it could have meant a so-called Grexit –or Greece leaving the eurozone. Meanwhile, people in Greece have been frustrated with the new plan. On Thursday night Athens faced the first protests against Greece's newly elected anti-austerity government. Demonstrators took to the streets because they said Prime Minister Alexis Tsipras and his cabinet had failed to fulfill their anti-austerity election pledge. Germany has also seen an increasingly vocal opposition to giving Greece its own way out of the crisis with people protesting on the streets and in the media. The new government in Greece wants to escape the Troika conditions which are very specific in terms of reforms the Greek government has to carry out, Hans-Werner Sinn President of the German IFO institute for economic research told RT.